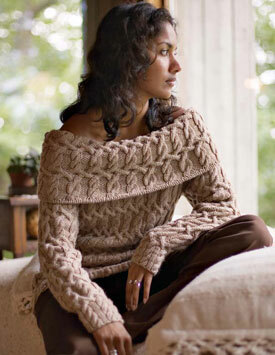 Free Cable Knitting Ebook, From Knitting Daily! 7 free patterns for a cable knit sweater, scarf, pullover and more in this FREE ebook from Knitting Daily. Now’s your chance to learn how to do simple and advanced cable patterns, and the pros show you how. Can you tell me how to find the pattern for this sweater.